It was the early 2000s, and Daniel Lucio, a Harlingen native, was staring into the screen of his family’s new computer, searching the web for information on universities. He’s the oldest of five siblings, and his parents never attended college. This was a journey he’d have to make on his own. “It was because we had that (a computer), and I could start looking at applications online to places including the University of Texas Brownsville, that I was actually able to go to college, and that really opened up opportunities for my brothers as well,” Lucio said. He attended UTB (now the University of Texas Rio Grande Valley), where he majored in psychology and became the first in his family to graduate from college in 2008. In 2012, he earned his Master’s of Public Administration at Texas A&M-Corpus Christi, becoming the first in his family to earn a graduate degree as well. Lucio went on to lead a career in civic engagement for about seven years. While helping register voters, he realized that “the underlying issue is the access of technology and having internet,” he said. Without being able to find out things like where and when city council meetings are, or where polling is taking place at the click of a button, it can be easy to fall out of the loop, Lucio said. With that, he became interested in “attacking issues in a systemic level,” he said. 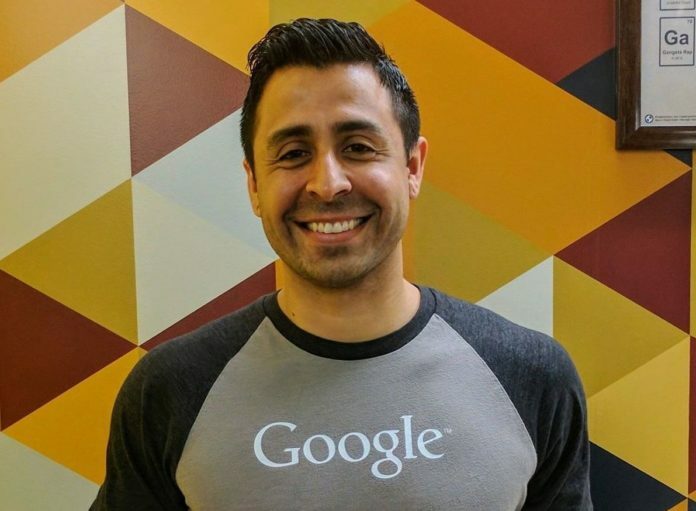 Now, Lucio is a community impact manager for Google Fiber, a high-speed internet service owned by Google. There, he’s tasked with creating partnerships with organizations in order to close the gap between low-income communities and access to internet. Many of the communities he’s worked with resemble his home, Lucio said. “In this work we look at data and we look at where folks are connected, how they’re connected, why they’re connected and some of the things that we see is that this particularly afflicts in communities of color and low income communities, both of which are represented in the Rio Grande Valley,” he said. According to a 2017 U.S. Census report, 30.3 percent of Hispanics report having no broadband internet or a computer in their home. Within Black Americans that number was 36.4. Those numbers are particularly worrisome considering about 80 percent of teachers assign homework online, he said. If a student isn’t able to access a computer, they’re at risk of being left behind. His experience growing up in the Valley adds invaluable context to his work, Lucio said. On March 12, Lucio will participate in a panel titled “Minority Report: Engaging Kids of Color in Tech,” as a part of South by Southwest, an annual conglomerate of film, interactive media, music festivals and conferences that take place in Austin. This is the first of three profiles of Rio Grande Valley natives participating in South by Southwest interactive media sessions next month in Austin.